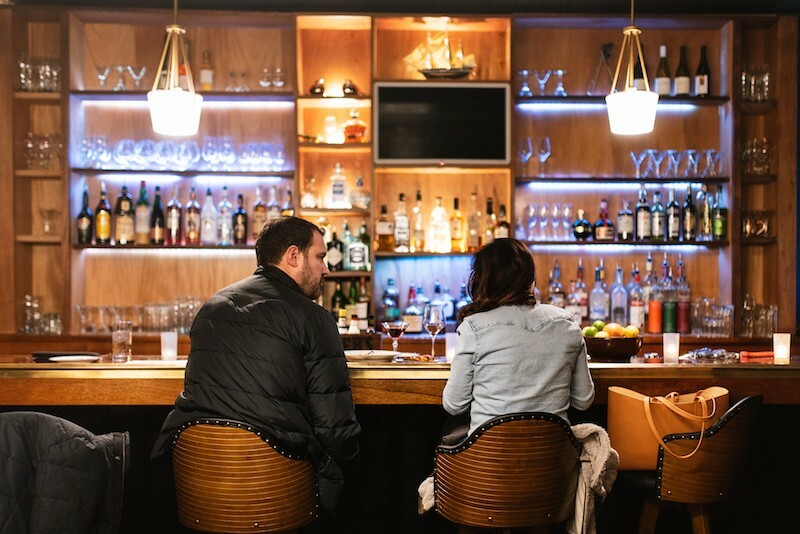 The bar program at 808 Maison is still "coming together," but it's a great place to linger over a drink. Soulard is one of the oldest French settlements in the city, so it’s only fitting that the neighborhood’s newest restaurant is serving up traditional French fare. 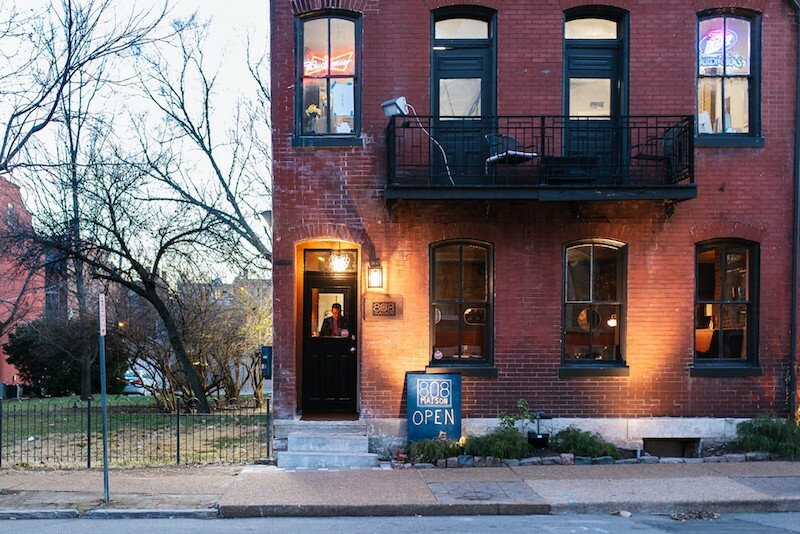 808 Maison (808 Geyer Avenue, 594-4505) is a new concept from the owners of Mollys in Soulard. The neighborhood has long been a destination for its bar scene and legendary Mardi Gras, but since Franco closed its doors in 2016, it’s been without many high-end dining options. That’s where owners Luke Reynolds and John Rogers saw an opening. 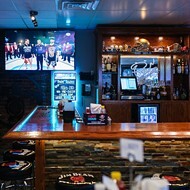 The restaurant space, which is next door to Mollys, had been vacant for the last twelve years. The Mollys team owned it, but didn’t quite know what to do with it. The answer proved to be right inside it. “It had its own spare kitchen, so a restaurant seemed like a logical choice,” says executive chef Jon Dreja. Dreja, formerly of Franco and Vin De Set, was already the chef at Mollys. His experience with French cuisine, and the desire to create something that paid tribute to the roots of the area, made him the perfect person to helm the new concept. The menu offers classic French dishes, even while pushing boundaries and experimenting beyond tradition. “So many restaurants want to play it safe with French cuisine,” says Drega. 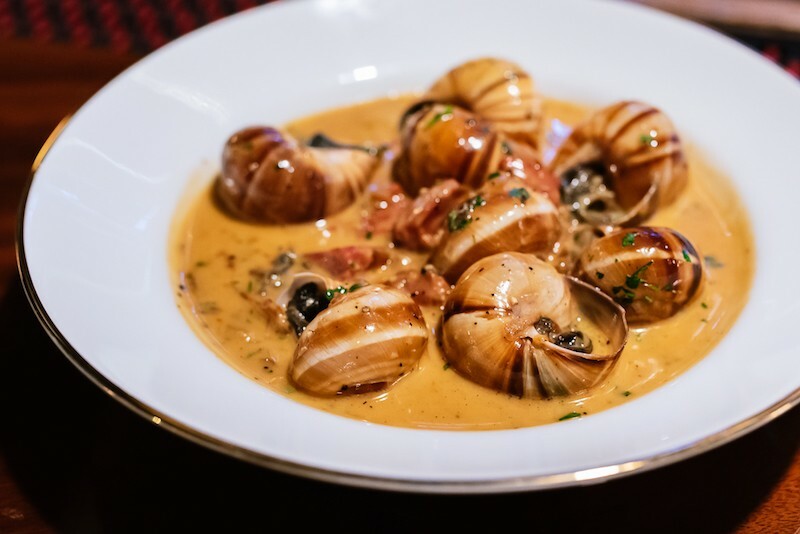 “We have created a menu that’s a mix of traditional and cutting edge.” The escargot, for example, come in butter sauce, as expected, but are given an unexpected twist with chorizo and caramelized fennel. Escargot deviate from the classic preparation. The menu is broken up into small plates, fruits de mer, soups and salads, and entrees. From the Fruit de Mer section, expect a mix of both East and West Coast oysters flown in fresh daily. The rest of the raw bar can be ordered a la carte, including a scallop tartare and a trout caviar. Entrees include the usual suspects like cassoulet and mussels, but all come with untraditional twists. For example, the steak comes not only with frites, but also a smoked bone-marrow bearnaise and bacon-braised Brussels sprouts. The wine list is extensive, offering between 70 and 80 bottles. Many of the wines can be purchased by the glass to aid in exploration. There is a good French selection, as well as wines from California and Washington state. Becky Ward, previously of Cleveland-Heath, serves as bar manager, and in her words, “The bar program is still coming together, we didn’t want to rush anything.” The restaurant hopes to have its cocktail menu printed in the coming weeks, but look for standouts like a Calvados negroni, made with the eponymous fruit brandy instead of gin. Definitely not your grandma's wallpaper. 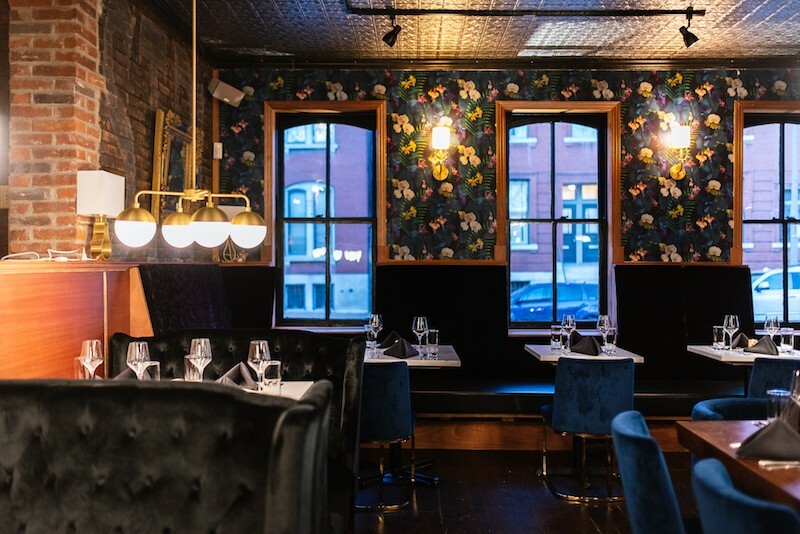 The elevated menu pairs nicely with the sleek interior’s exposed brick, velvet chairs, bold floral wallpaper (not your grandma’s kind), and a beautiful mahogany bar that is the focal point of the restaurant. The atmosphere still remains somewhat casual—after all, this is Soulard— but the overall vibe is more conducive to date night than late-night boozing. 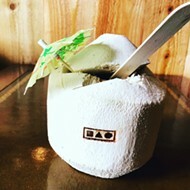 808 is here to bring the neighborhood back to its French roots. Like Soulard itself, 808 Maison is a mix of traditional and modern—it’s ornate but understated, conventional yet outside the box, a romantic spot connected to a bar, and the perfect amount of je ne sais quoi.